Here is the full text of the Holy Father’s homily for the fifteenth annual World Day of Consecrated Life (in a translation by Zenit.org). It’s a bit long, but very worthwhile! Emphases, in bold, and comments, in red, are mine. 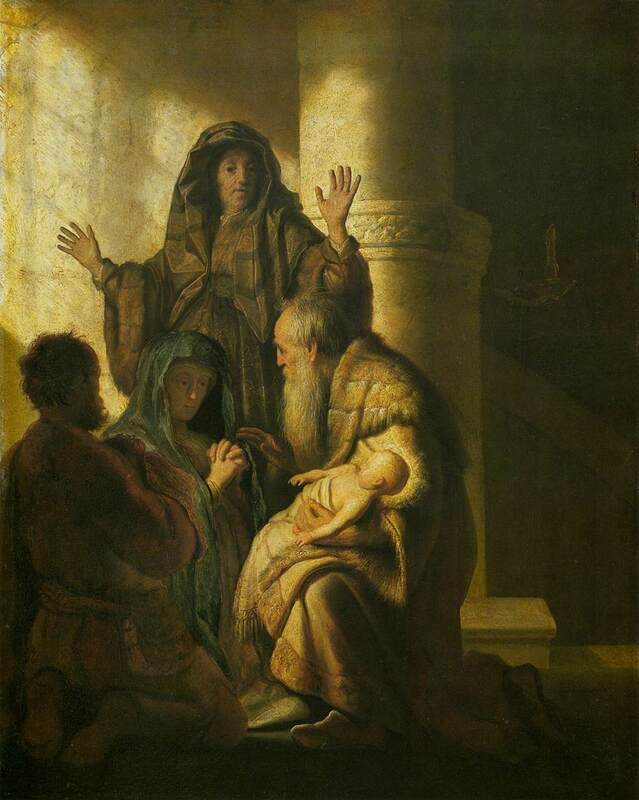 Simeon points to him as “light for revelation to the Gentiles,” (Luke 2:32) and proclaims with prophetic word his supreme offer to God and his final victory. (cf. Luke 2:32-35) It is the meeting of the two Testaments, the Old and the New. Jesus enters the ancient Temple, He who is the new Temple of God: He comes to visit his people, bringing to fulfillment obedience to the Law and inaugurating the end times of salvation. The Presentation of Jesus in the Temple is an eloquent icon of the total donation of the life for all those men and women who are called to reproduce in the Church and in the world, through the evangelical counsels, the characteristic features of Jesus “virgin, poor and obedient.” (postsynodal apostolic exhortation Vita Consecrata, 1) That is why today’s feast was chosen by the Venerable John Paul II to celebrate the annual Day of Consecrated Life. In this context, I address a cordial and grateful greeting to Archbishop João Bráz de Aviz, whom I recently appointed prefect of the Congregation for Institutes of Consecrated Life and Societies of Apostolic Life, with the secretary and the collaborators. I greet affectionately the Superiors General present and all consecrated persons. In the second place, the evangelical icon manifests the prophecy, gift of the Holy Spirit. Simeon and Anna, contemplating the Child Jesus, perceive his destiny of death and resurrection for the salvation of all peoples and proclaim this mystery as universal salvation. Consecrated life is called to this prophetic witness, linked to its twofold attitude, contemplative and active. Given to consecrated men and women, in fact, is to manifest the primacy of God, passion for the Gospel practiced as a way of life and proclaimed to the poor and to the last of the earth. “In the strength of such primacy nothing can be preferred to personal love for Christ and for the poor in which He lives. True prophecy is born from God, from friendship with Him, from attentive listening to his Word in the different circumstances of history” (Vita Consecrata, 84). In this way consecrated life, in its daily living on the paths of humanity, manifests the Gospel and the Kingdom already present and operative. In the third place, the evangelical icon of the Presentation of Jesus in the Temple manifests the wisdom of Simeon and Anna, the wisdom of a life dedicated totally to the search of the face of God, of his signs, of his will; a life dedicated to listening and to proclaiming his Word. In the commandment of love. Amen.